Through our extensive network of buyers and solid marketing practices, we can sell your pre-owned medical equipment for you. With an exclusivity agreement (optional) we apply a fixed percentage for selling your equipment, guaranteeing you receive fair market value. Purchasing of your equipment - In some situations we will buy your pre-owned medical equipment outright! Appraisals - We can arrange to have your equipment inspected and appraised, or simply provide an over-the-phone appraisal based on the specific system specifications and average market value. Ever attempted a full Turn Key Installation? Want to avoid a major headache? Let us provide you with a full Turn Key, headache free solution. We can arrange de-installation/installation, rigging, shipping, site evaluation/planning & building, training for your staff & after-sales service for your new equipment. Mobile Trailers and Modular Buildings are available for MRI, PET & CT's to meet virtually all of your temporary or long-term needs. We will have an engineer provide a complete system inspection and evaluation before you commit to purchasing equipment from us. We can recommend equipment to you based on your specific budgetary requirements, site limitations, geographical location; which may include the services available in your specific area, spare parts available and studies based on the ever-fluctuating market to assist you in making intelligent and educated investment decisions. 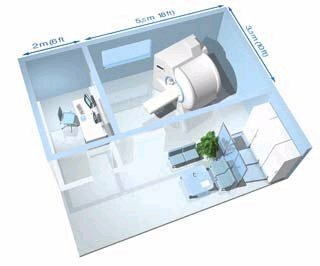 MRI Depot offers special introductory leasing and financing programs for all of your imaging and capital equipment needs. Equipment refinancing is also available upon request. On equipment we sell, we can provide after sales service and support for spare parts.